A Senior Cambridge from Loyola School, Trivandrum, he received an MBA from Cochin University of Science and Technology. He has been spearheading the International Marketing Operations of the company for years and possesses great knowledge of prominent markets. 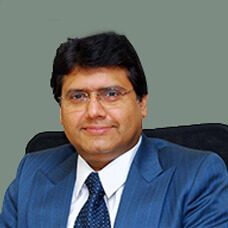 His focus on customer orientation, fresh approach and constant industry updates has kept the company abreast of its times. He was the State Chairman of the Builder's Association of India. He travels widely and is a keen golfer. The holder of a B.Tech degree from the College of Engineering, Trivandrum, he holds the Design and Construction portfolio in the company, ensuring that projects are always contemporary. 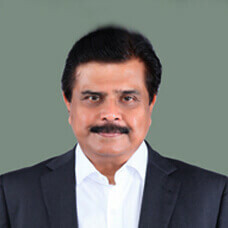 He has graced many prestigious positions like Chairman of the Builders Association of India, Secretary and Chairman of KBF (Kerala Builder's Forum). He is a golfer par excellence too.